Our motivations ultimately drive our behaviors – both good and bad. It’s just a fact of life. When it comes to living a healthy lifestyle, such as dietary and routine exercise, motivations can be very difficult to control and predict. It certainly has been for me. My friend then demonstrated how many calories, steps, miles and stairs she had performed throughout the morning – and the metrics were displayed on her iPhone. I was equally impressed just how little sleep my friend was receiving. My friend conveyed to me how this real-time information MOTIVATED her. Powerful stuff, don’t you think? More and more, employers and even insurance companies are promoting wearable devices to challenge employees to be more active throughout their day. BP promotes a Million Step Challenge within their company wellness program. Wellmark also promotes Fitbit tracker bracelets to members enrolled in a newly-created health plan who demonstrate healthy behaviors. New stories are published everyday about how employers (and insurance companies) are embracing this new technology to get people moving. Take a one- to three-minute break every half-hour during the day to stand (which burns twice as many calories as sitting) or walk around. Stand or exercise while watching TV. Gradually reduce daily sitting time by 15 to 20 minutes per day, aim for two to three fewer sedentary hours over a 12-hour day. A Wall Street Journal article recently indicated that one in 10 U.S. adults now own a fitness tracker, which tracks footsteps, calories and other metrics. Yet, the precision of such devices are not as accurate based on a study from Iowa State University. 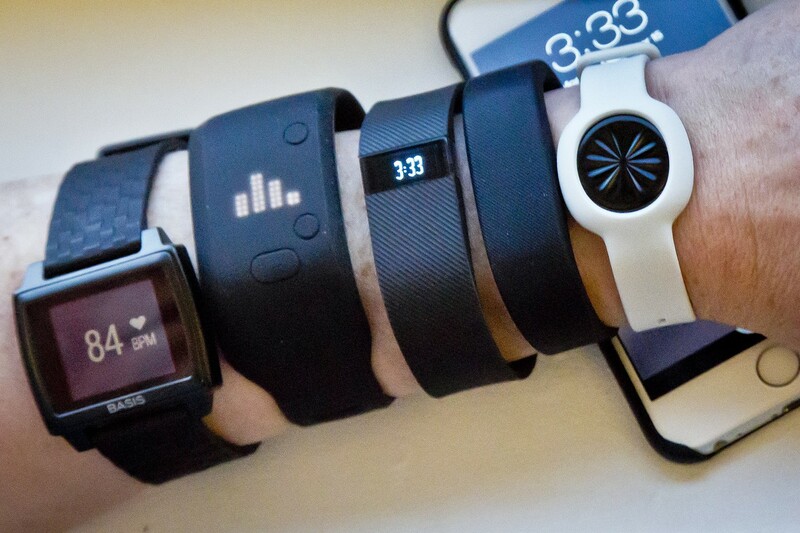 Researchers at ISU tested the accuracy of eight activity trackers in measuring energy expenditures and found that most were off by 10% to 15% compared to a precise laboratory measurement. The worst was off by 23.5%. After receiving my Fitbit a few weeks back, I am now measuring my days considerably differently than before. Since the age of 12, mainly due to playing football and participating in track, I have made a daily routine of running and biking. Yet, I’m finding that, due mainly to birthdays, my metabolism is slowing down and it is becoming increasingly difficult to keep my weight (and waist measurement) under control. Again, even though the metrics are far from perfect, having this wrist tracker on 24/7 allows me to establish a consistent log that is valuable for quantifying changes in my daily activity. Measuring my day in steps or calories is beginning to redefine my routine motivations, which ultimately impacts my behavior(s). I’m quickly becoming convinced that having a wearable fitness device is changing my behavior. *CAUTION TO MEN: Please consult with your medical physician first, as this type of work may be hazardous to your mental health.